It has been too long, my brothers and sisters in arms, but the final three and finale are here. The “Broken Brothers” close out the final installments of Frank’s journey. We deliberate and expound on the Marvel Television Universe. Strap in… this one is a doozy. This episode of the War Journal we put ourselves in the “Crosshairs” of Frank’s .50 cal to relish the “Cold Steel” of his rifle only to find ourselves standing “Front Towards Enemy.” It is a sticky situation for sure, but this team knows how to clip the right wire and make it out alive. It is time for a resupply and to get the gun wall in order and looking pretty. Get your equipment ready and join us as the super team goes deep to find out how our broken characters find a reason to survive. It is time to punch and claw our way through the new Marvel Netflix series, “The Punisher.” We met Frank Castle during Daredevil Season 2, now we meet the man behind the trigger and pain. 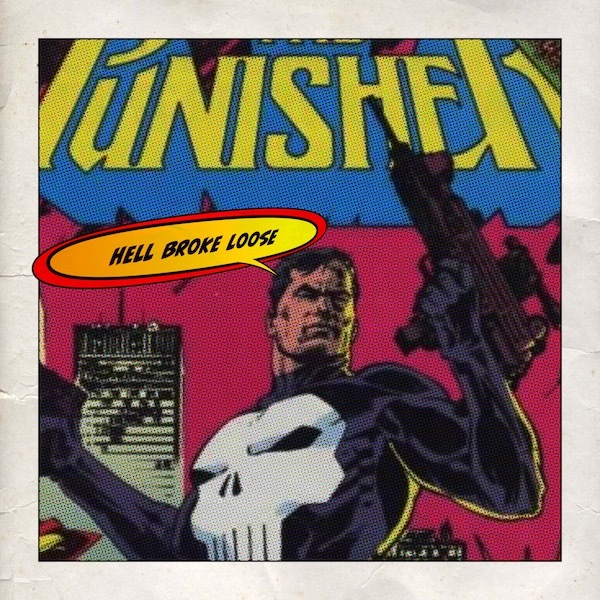 A special elite hit squad of Incomparable listeners join Moze for a mission to discuss how The Punisher falls inside the Marvel Universe.